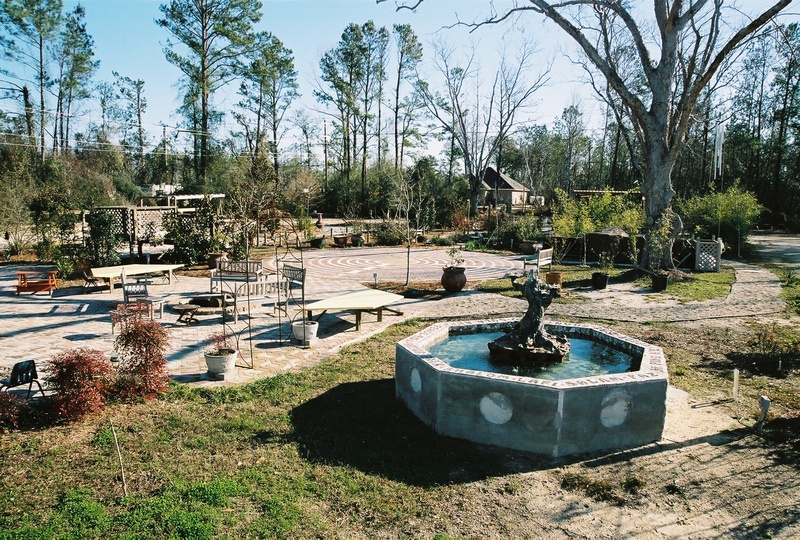 Tim's Katrina Blog | Relax… Get Back! 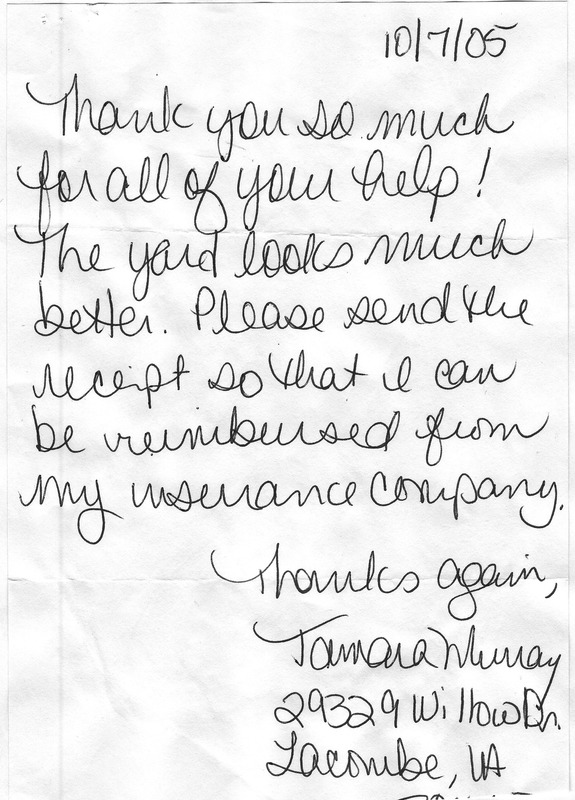 A nice note from Tamara Murray. Angie’s two boys thought that my team climbed like monkeys. They got a real laugh out of that one. Here’s an email from Sally. Thanks for your kind words and I look froward to getting back to Metairie soon. 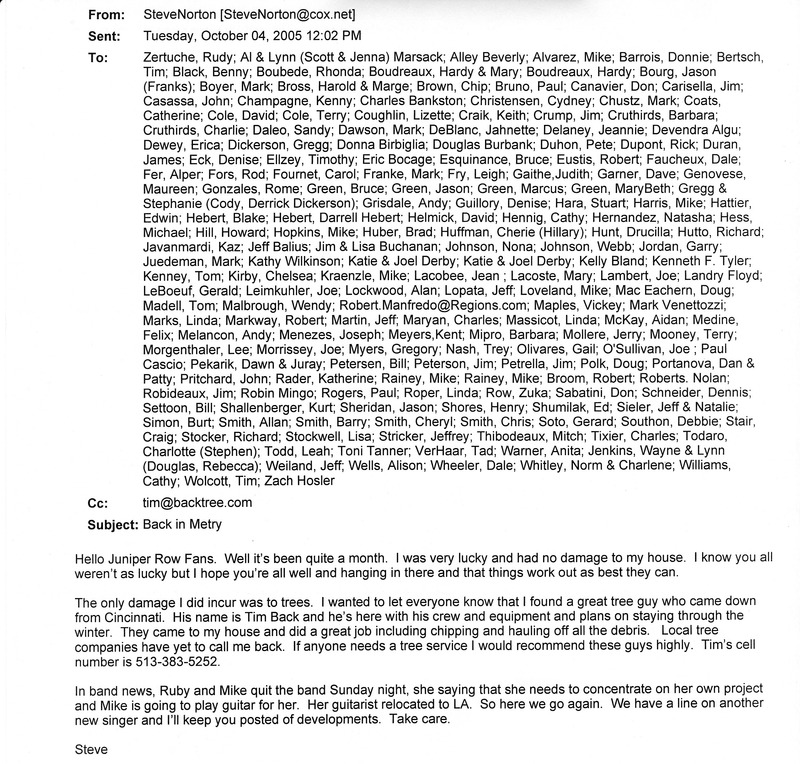 Here’s a great email from Steve Norton. Steve I hope that your band is going strong and your fans are continuing to grow. All the best with your musical future. 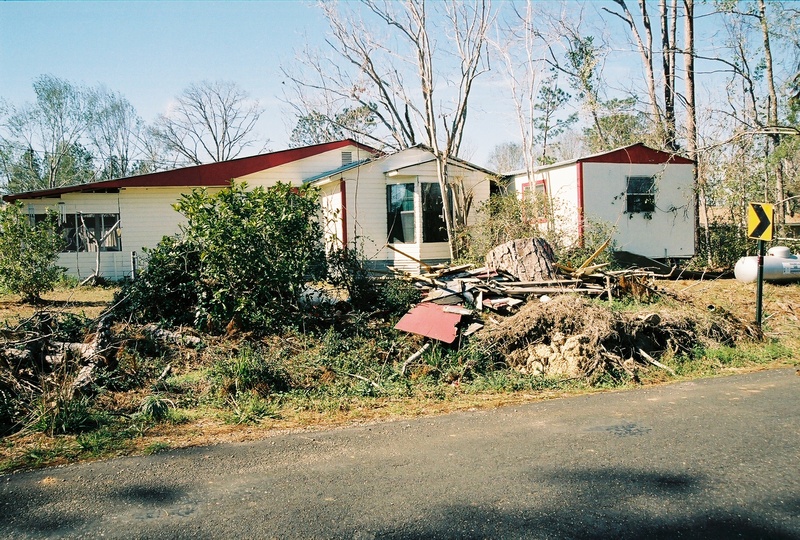 We cleaned up the storm damage around this house for a widow in Mississippi after this picture was taken, and were wondering how she was doing. If any of you recognize the house and its owner, please let us know. 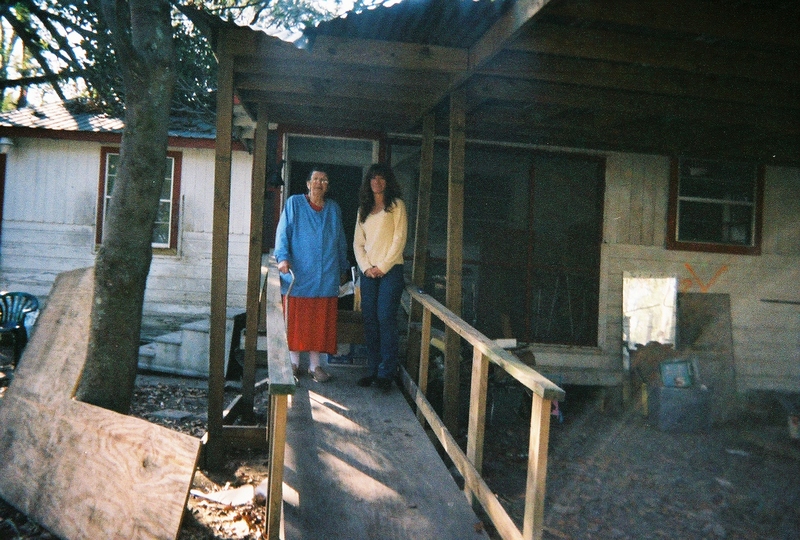 Pastor Bob Heustess asked us to help Mrs. Butler, a member of his congregation. Please let us know how she is doing. She was a brave soul and she rode out the hurricane with her neighbors. 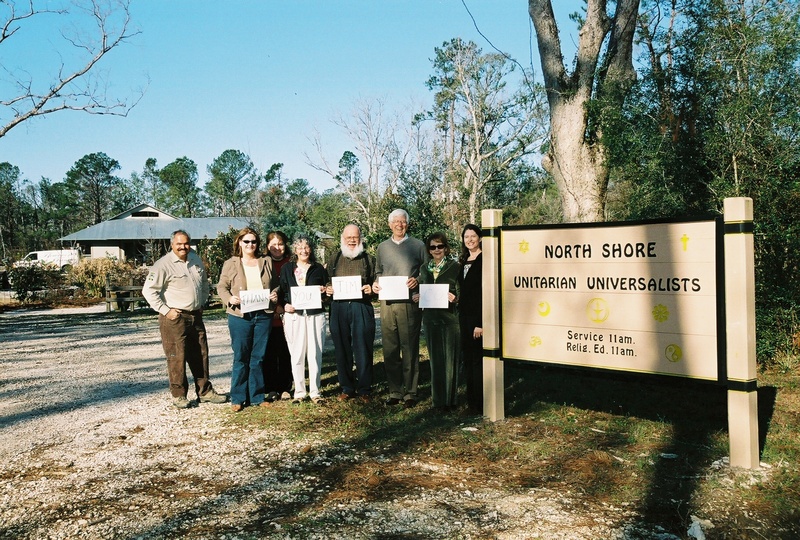 The Unitarian Universalist Church was most grateful and referred Back Tree Service to many other people in need after Katrina. The people that we met were a credit to their church.